EdTechXEurope is the leading thought leader summit bringing together executive level investors, innovators and industry influencers from European and international education companies. Now in its fourth year, EdTechXEurope aims to host 800+ global attendees and invite over 150 speakers to showcase EdTech innovations and perspectives from around the world. Beyond this presentation, Cederik is also a panelist for the session called: "Disruptive Technologies and Future Trends" at 12:10 PM London time. 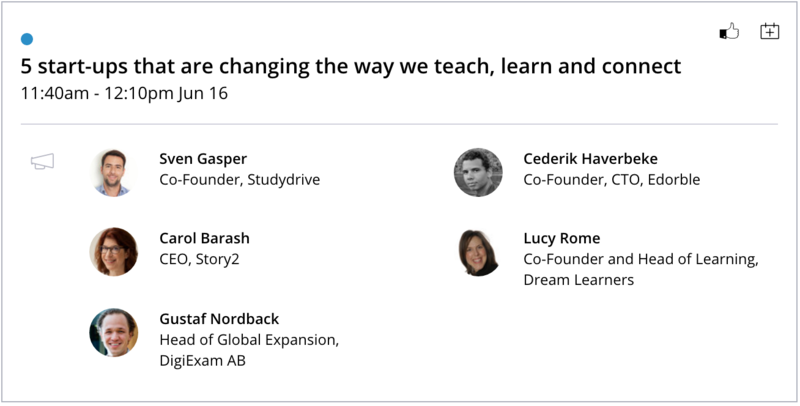 You can find the full EdTechXEurope agenda here. We couldn't be more excited. If you're going to be at edtechxeurope and want to connect, shoot Cederik an email (cederik@edorble.com). If you won't be there but want to hear more about Edorble, shoot me an email (gabe@edorble.com).